Dr. Bradley Carl is Assistant Scientist and Co-Director of the Wisconsin Evaluation Collaborative (WEC), housed within the Wisconsin Center for Education Research (WCER) at UW-Madison. His current work focuses on evaluation of programs and initiatives at the PreK-12 level, as well as the design, implementation, and evaluation of state educator effectiveness and school accountability systems. He has worked extensively with the Milwaukee Public Schools since 2007 on program evaluation and the development of postsecondary tracking measures, education/health outcomes, and early warning indicators. 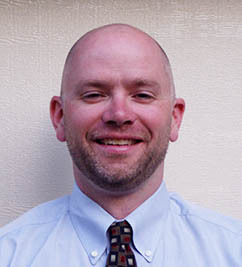 Prior to joining WCER, Dr. Carl worked for the Office of Educational Accountability at the Wisconsin Department of Public Instruction, the Center on Education and Work at UW-Madison, and the American Institutes for Research in Washington, D.C. He holds degrees from Hamline University (B.A., International Studies and History) and Michigan State University (Ph.D., Sociology-Urban Studies).